Welcome to Outdoor Track! Parents, please join us for a pre-season meeting and opportunity to meet the coaches, learn important information about the season, and have any questions answered. 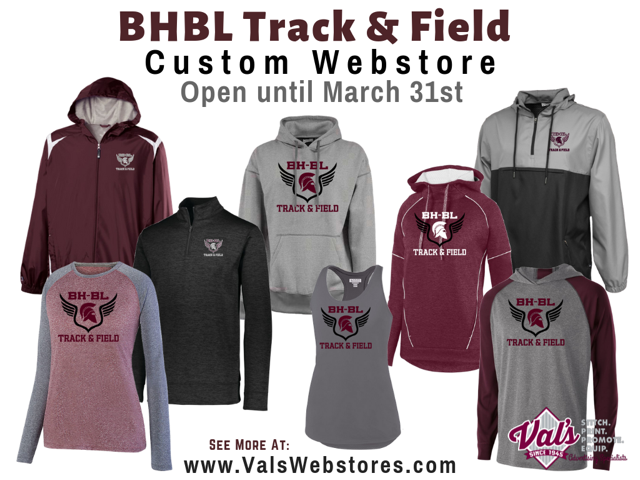 The BH Track booster club will be there to collect dues ($30/athlete) and to encourage parents to volunteer for important roles that need to be filled this season. The store will close on March 31st. All items are available in multiple colors.